Photographers spend an average of 13.5 hours per week editing photos. The average time investment (including shooting, editing, meeting time, etc.) for a photographer per wedding is 65 hours. Wedding photographers earn an average of $37 per hour (before expenses). The most likely reason that you are reading this is because you want to increase your business. Well, looking at the data and seeing that nearly half of wedding photographers are booking less than 50% of the couples who contact them, that makes sense. Wedding photographers are spending nearly a third of what they make on overhead. You need to “spend money to make money,” but do you need to spend as much as you are now? The majority of wedding photographers have been in the business for less than five years. That makes sense, too. Digital technology has made it easier than ever before for people to get started in wedding photography. The only other areas of the wedding business to be affected as much by recent technology changes are videography and music. More photographers jumping into the wedding market means increased competition and a smaller slice of the metaphorical pie for everyone. You can’t do anything about the number of people in your industry, no matter how much you might want to. You can only change yourself and how you do things. So how do you survive and become one of the pros who has been in business for more than ten years? There are two things you need to do. 1. Be a better salesperson. You don’t have to be pushy; you just have to get in tune with your potential clients. Find out who your target couple is. It will be based on a number of factors: budget, style, age, etc. Once you have a better idea of who they are, you can spend more of your time, money, and energy marketing to them. 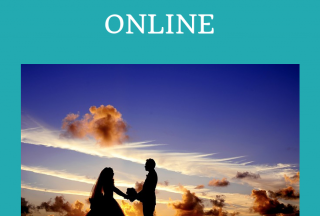 Your advertising, blogging, and social media outreach should strive to reach those couples. 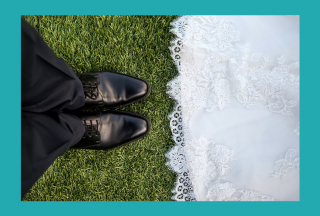 You will spend less (in all areas) than if you try to bring in every couple getting married, and you will increase your number of bookings because you are more suited to the potential clients that you reach. And when a potential client contacts you, listen to them. And I do mean actually LISTEN! I don’t mean pause briefly and give them time to say something before you hit them with your next bit of information on why they should hire you. Hear what they have to say. Let it sink in. Find out their needs and what they are looking for. Connect with them so that you can better serve their interests. The more you connect with them, the more likely they are going to want to work with you. But you might not want to work with every couple who crosses your path; they might be the right match due to price, availability, or personality. If that’s the case, you need to let them know so that you can both move on and everyone saves time. By letting the “wrong” couples go, you are actually providing a service for them. They’re more likely to recommend you to someone who is right for you in the future, as opposed to more people who aren’t right for you. 2. Be a more efficient business person. You’ve already started on the road to being more efficient by becoming a better salesperson. You are spending less money on advertising that isn’t seeing any returns, and you are spending less time with clients who don’t want to hire you. But what about the rest of your business? Keep detailed logs on your spending, both of time and money, and you will see the areas where you are being wasteful. Can you be more efficient there? Just think about it–if you find an hour each week that you can get back by streamlining or eliminating tasks, that is 52 hours per year you can save yourself. By increasing your efficiency, when it comes to your marketing, expenses, and most importantly, TIME, you can give yourself a pay raise without ever charging your clients more money. What do you think about these survey results? Leave a comment below and take this anonymous photographer survey to help us improve the future of photography. 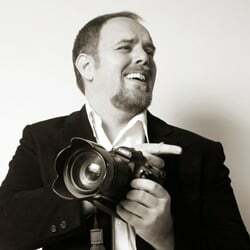 Casey Fatchett is a New York City based wedding photographer with more than a decade in the industry. He is a member of the WPJA and WPPI and he wants to make sure that everyone is having a good time! For a few photographic artists, wedding photography is really an ardor. It’s their lifestyle. They keep on entiing their clients with a masterful and present day touch in their photos. They imbue more than enough energy into their photography to catch the correct feeling and fervor of your unique day. Be it a genuine picture of your darling and you, or be it a friends and family photograph or a picture with buddies, all shots are caught to make your wedding a huge 1. I would love to see an education and certification block included in this? This may be a bit of a killer for many brides.. but I think it’s important that the brides distinquish certified or credentialed photographers. Technology is moving fast and bridal shows are now accepting $2K from ANYONE with a camera and it’s pretty sad.. Love the chart though..